This system was devised to enable rapid mapping of vegetation and classification of wildlife habitats. The aim of Phase 1 Habitat Survey methodology, is to give a way to record vegetation and habitats over large areas. Each parcel of land is classified and recorded into categories; such as woodland, grassland and wetland. Habitat classification is based on vegetation type. A Phase 1 Habitat Survey involves biological study and assessment, using the methods set out in the Joint Nature Conservation Committee’s handbook. The nature and condition of the vegetation and the survey data help to inform the ecology team about the living and non living parts of the landscape. The initial stages are desktop studies, site ecology survey visits by Landvision’s ecology team, where each habitat type is mapped. There are some ninety habitat types and the botanical description of the site is drawn up using botanical survey, where this is required, to give an accurate habitat description of the site. Special habitats are mapped. This are normally required, where protected species are deemed likely to be present, as a part of the planning process, to inform planners about the site to be developed. The baseline information obtained in these surveys by Landvision’s team of experienced ecologists will be used to draw up likely presence or absence of protected species. 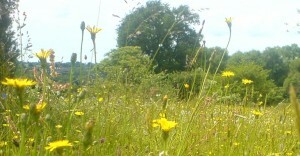 Mitigation measures may be drawn up to ensure that the site’s natural habitats can be retained. Protected species and their specialist habitats will be identified, for species such as Bats and Great Crested Newts. Landvision Habitat Surveys Phase 1 Habitat and Vegetation surveys, provides leading UK ecology and environmental planning consultancy input. We are experts in Phase 1 Habitat Surveys and vegetation surveys. For professional help and advice, Call us on 01892 782200 or use the contact us page.